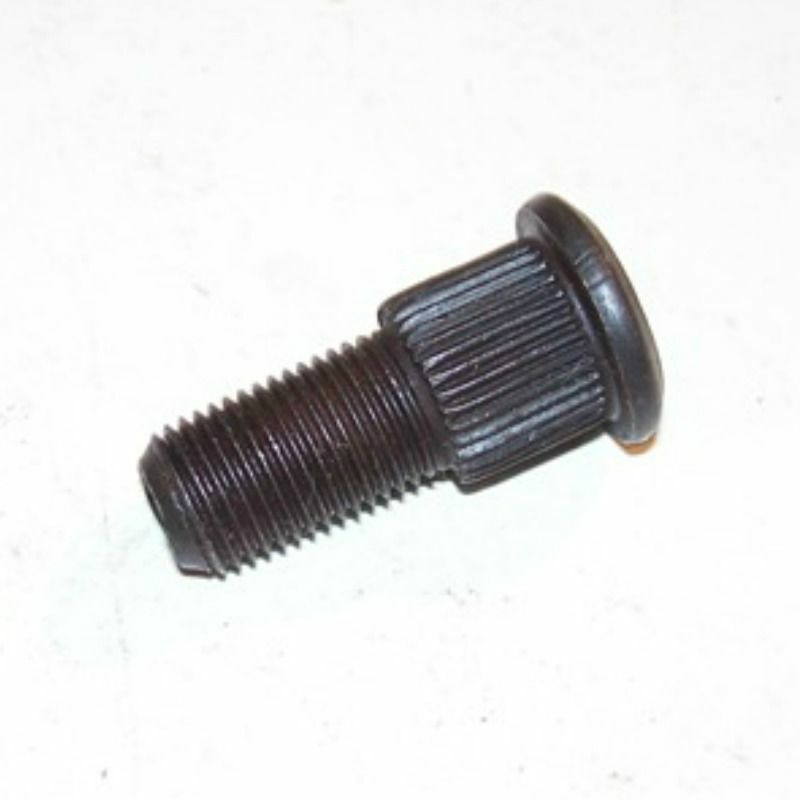 Wheel Stud Bolt, R.H. Thread. Willys MB (1941-1945); Front or Rear Hub. Willys M38 (1950-1952); Front or Rear Hub. Willys M38-A1 (1952-1963); Front or Rear Hub. Jeep CJ-2A (1945-1949); Front or Rear Hub. Jeep CJ-3A (1948-1953); Front or Rear Hub. Jeep CJ-3B (1953-1968); Front Hub w/ Bearing marked 18590; Also fits Rear Hub. Jeep CJ-5 (1955-1965); Front Hub w/ Bearing marked 18590; Also fits Rear Hub. Jeep CJ-5 (1966-1971) w/ Tapered Rear Axle Shafts; Rear Hub. Jeep CJ-6 (1955-1965); Front Hub w/ Bearing marked 18590; Also fits Rear Hub. Jeep CJ-6 (1966-1971) w/ Tapered Rear Axle Shafts; Rear Hub. Jeep FC-150 (1956-1964); Front Hub. Jeep FC-170 (1957-1964); Front Hub. Jeep C101 Commando (1966-1971) w/ Tapered Rear Axle Shafts; Rear Hub.